In a recent case discussing a recalculation of child support, the Appellate Division of New Jersey reversed a decision to increase child support where a non-paying and unemployed spouse was credited with too low of an earning capacity, and her fiancé’s income was not factored into the calculation. In Marino v. Marino, the couple in question had married in 1996 and divorced in 2009, having had one child who is now 17. The mother held primary custody under their divorce settlement agreement, and the father made weekly child support payments of $100. In 2010, the mother requested that the court permit her to relocate to Delaware, citing a job offer that came with a higher salary than that of her job in New Jersey, and the fact that her fiancé lived there. The court granted the motion. As a result of the change in circumstances, the court ordered in September of 2011 that both parents submit financial information to enable a recalculation of child support, which was to include financial information on the mother’s current fiancé, as the couple had had a child together after the end of her first marriage. The court noted that any change to child support would be retroactive to June of 2011. For two years, the mother failed to submit financial information, until the father sought the court’s help in compelling her to obey the 2011 order. When she did, the court discovered that the mother had not worked consistently since 2010, with the bulk of her earnings between 2010 and 2014 coming from unemployment. The last year that the mother had earned wages was 2012, when she earned $2655 in wages and $6681 in unemployment, totaling $9336 in total income. The mother did not disclose her fiancé’s income, stating she believed that it was confidential under New Jersey Court Rules. 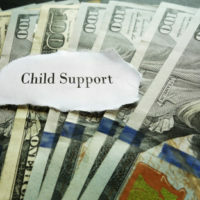 As a result of this information, the court imputed $9,336 in annual income to the mother, down from the $43,992 to which it had previously deemed her capable of earning, and raised the father’s weekly child support obligation to $134. The father appealed the court’s decision, arguing that the mother should have been found capable of earning at least $43,992, which she made at the time of the couple’s divorce. The father also noted that $9,336 fell below the minimum wage, and that the mother had offered no explanation as to her low earnings. The father further argued that he was entitled to a statement of the fiancé’s income, which should have served to reduce the father’s payment obligation. In siding with the father, the Appellate Division explained that imputing income is discretionary and imprecise, requiring a court to “realistically appraise capacity to earn and job availability.” When a parent is underemployed or unemployed without a good reason, the court should impute an income based on 1) the parent’s work and earning history, any educational qualifications and special skills the parent holds, and the region’s job prospects for such a candidate; 2) the parent’s most recent wages earned; or 3) full-time work for the minimum wage of New Jersey, which is currently $8.25/hour. The Appellate Division determined that the trial court was correct to have imputed the mother with income, as she had not offered a good reason for being unemployed, but that it had not properly followed the principles governing imputing income when it did so. The Appellate Division also found that the court had erred in failing to require that the mother disclose her fiancé’s income, and ordered that the trial court reconsider its decision, including both a properly-calculated imputed income, and using the fiancé’s income to appropriately reduce the father’s obligation. If you are in need of legal assistance with a custody or child support matter in New Jersey, contact the skilled and experienced Union family law attorney John B. D’Alessandro for a consultation on your case, at 908-964-0102.